Text: I want to be like you Dad! Lined paper design. 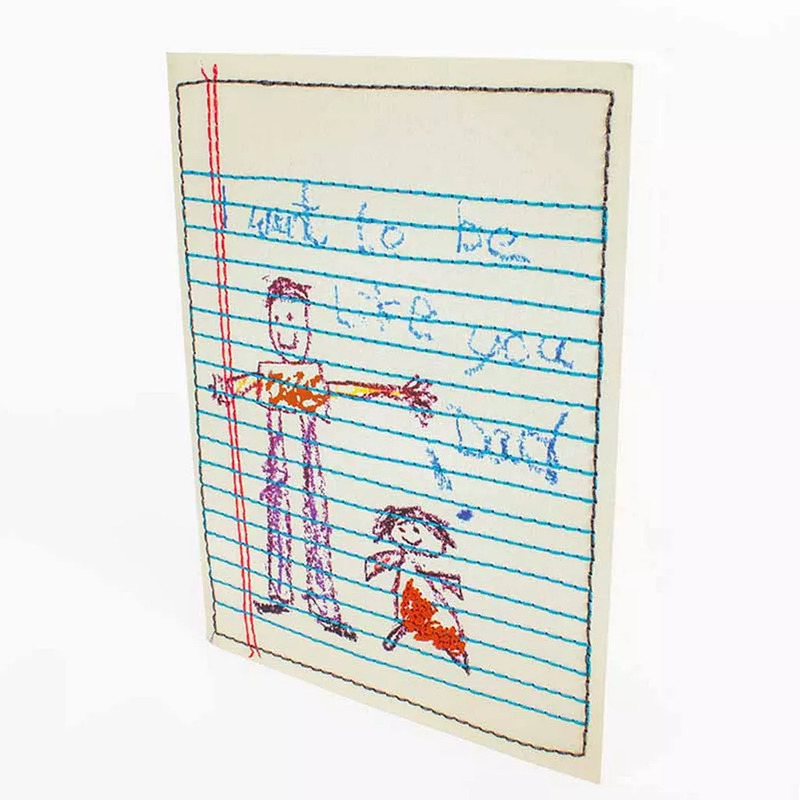 Father and child drawn in printed crayon style.